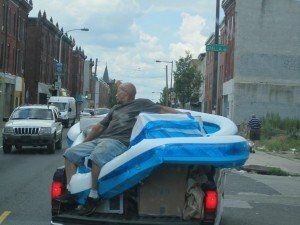 The image above shows us stuck in traffic behind this self described picture. We wonder if they will call us to install a receptacle for the air conditioner he is sitting on. The image below shows what we saw next door to a unit we were servicing. 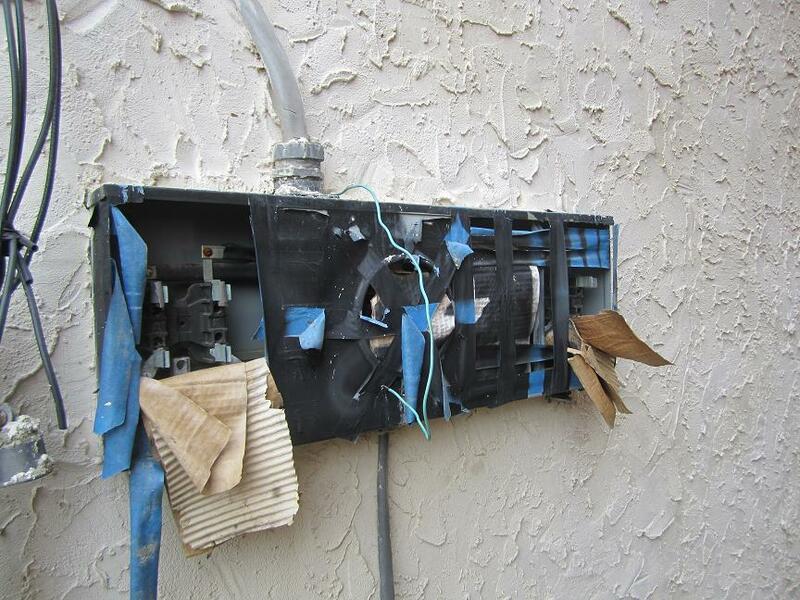 The scariest thing was the little children playing in the yard less the 20 feet away from this energized and exposed meter socket. 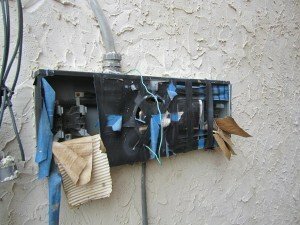 We were called to check lights blinking at this residence after doing some troubleshooting and testing we found the problem. 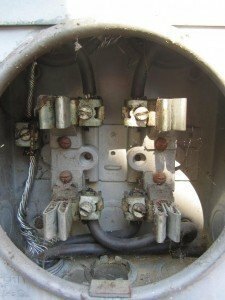 Corrosion had set in this meter and affecting the connections. 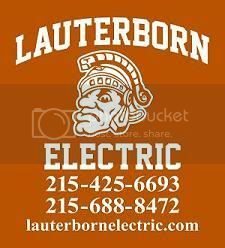 Tell a friend to contact your licensed electrical contractor Lauterborn Electric for all of their electrical needs.